#1. DO NOT SEND ME MESSAGES FOR CONTEST INVITATIONS! If you want my design you can invite me on 1 on 1 work. Cheers! "Received an excellent design right off the bat from Saint Creative. 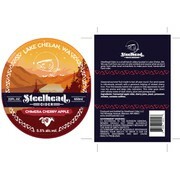 Very timely and responsive to adjustments and changes and created the perfect label for us. Very happy with the end result and the entire overall process"